Activists say immigration stance is part of the equation that got a new sheriff elected. RALEIGH, N.C. (WTVD) -- Immigration rights advocates are sounding off after a major change in Wake County's leadership. Longtime Sheriff Donnie Harrison was voted out of office Tuesday and many think it's because of his cooperation with a controversial program that can turn over undocumented immigrants who commit crimes to federal authorities. The new sheriff plans to end cooperation with the 287g program. "Let them (the feds) deal with it, let them enforce it," said Sheriff-elect Gerald Baker. Baker said some people refuse to reach out in times of need. "They're more worried about somebody getting deported than us coming to help them. That's a problem," Baker said. Activist contended that the midterm election race was a referendum on humanity. A 16-year-old's father had a detainer filed against him this past Friday. "It's just very unfair," said Mayra Campos, who explained that her dad was pulled over for driving without a license. "It's not something that any child or anyone should have to go through; going without their parents is something dreadful and very scary for a child." In December of last year, a detainer was placed on a Jordanian man after he was accused of killing his wife. Donnie Harrison's bid for a fifth term as sheriff of Wake County failed Tuesday night. Activists argue that not everyone is charged with such heinous crimes and they plan to hold Baker to his promise. 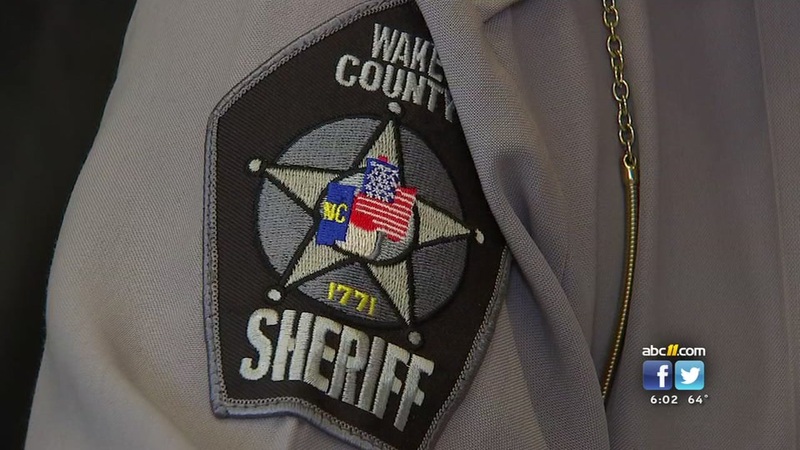 ABC11 reached out to the Wake County Sheriff's Office to see how many people have been detained under the program. Nobody has yet responded to our inquiry. A clerk at the County Courthouse said she sees about 20 detainers a week.